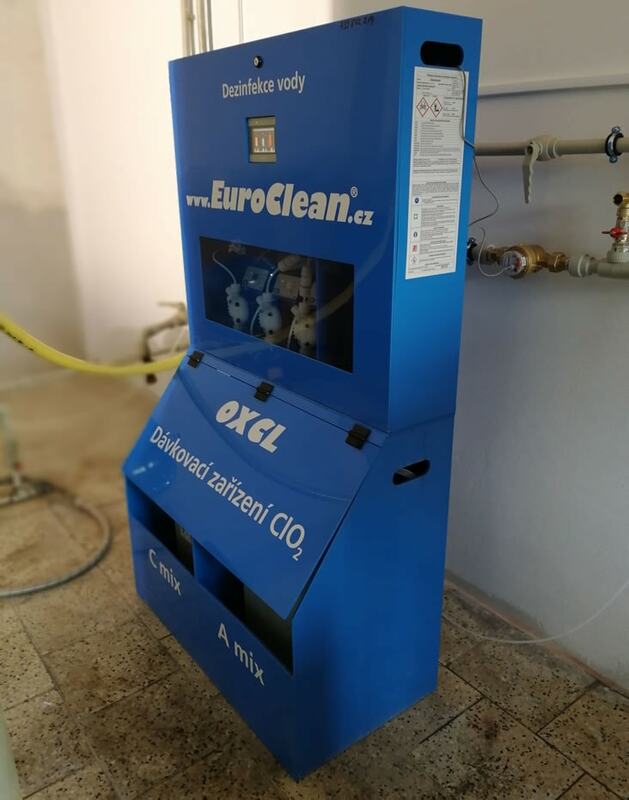 Chlorine dioxide particularly excels in the elimination of legionella because it also removes biofilms, through which other disinfectants do not penetrate. 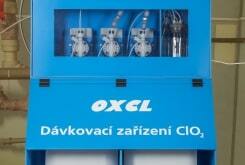 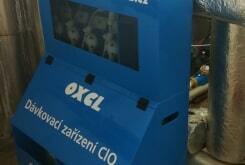 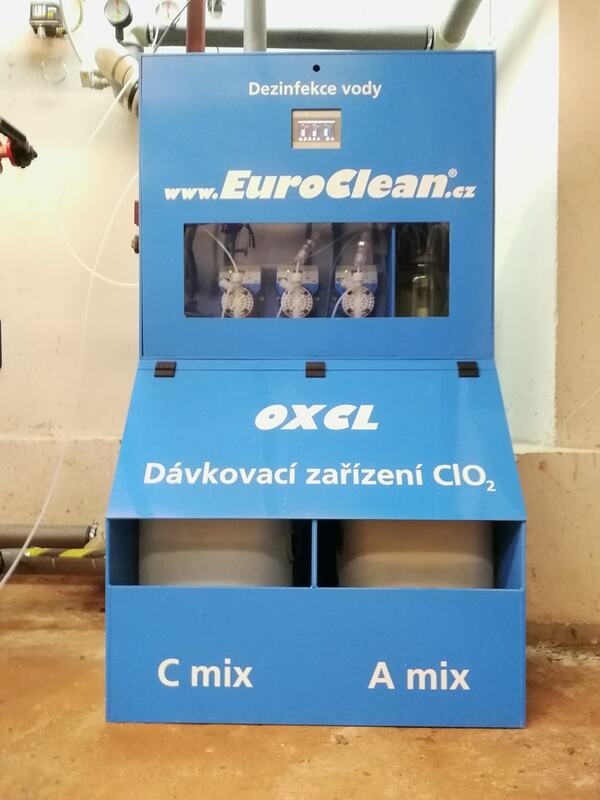 The OXCL generator safely prepares a chlorine dioxide (ClO2) solution and subsequently uses it for the disinfection of potable, hot or industrial water. 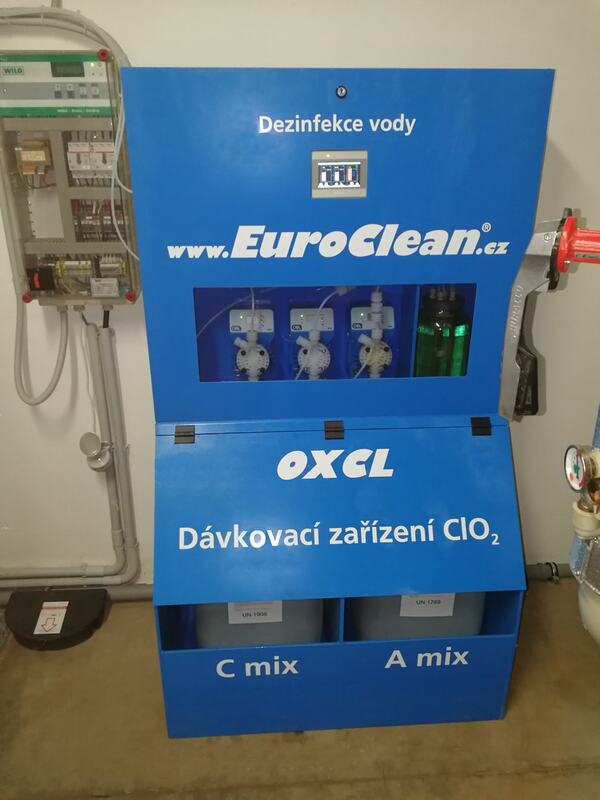 Chlorine dioxide is a substance that has been approved for the disinfection of drinking water and it has been registered in compliance with the regulation (EU) No 528/2012 concerning the making available on the market and use of biocidal products. 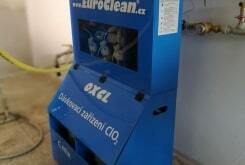 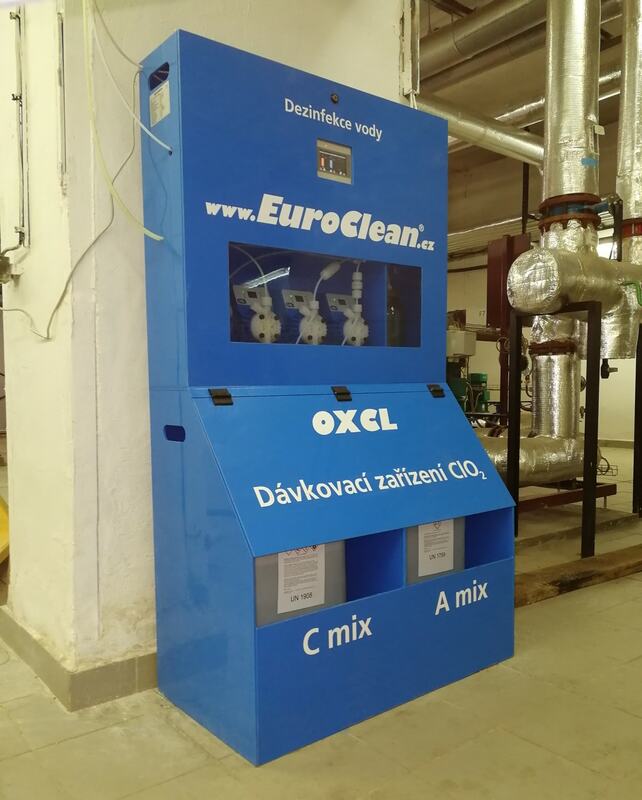 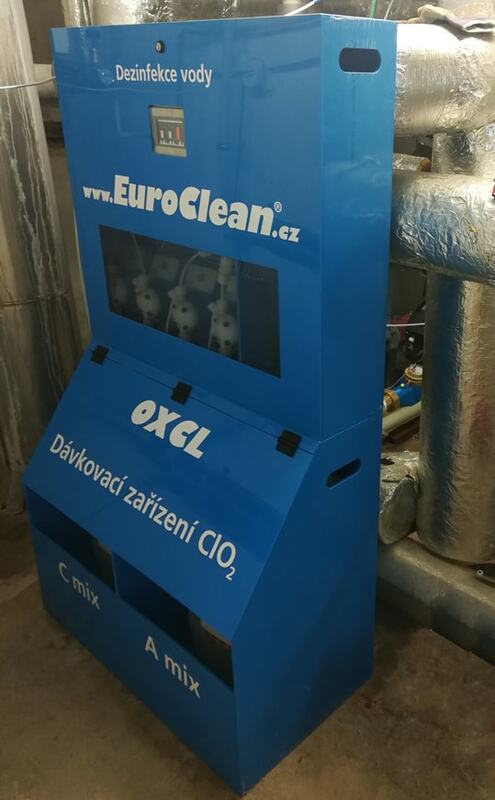 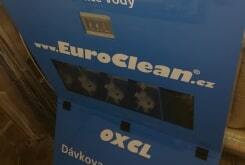 EuroClean OXCL generator is fully automatic and designed so that the ClO2 solution is always fresh and maximally effective. 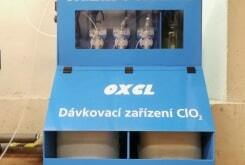 The device has its own unique vapour filter. 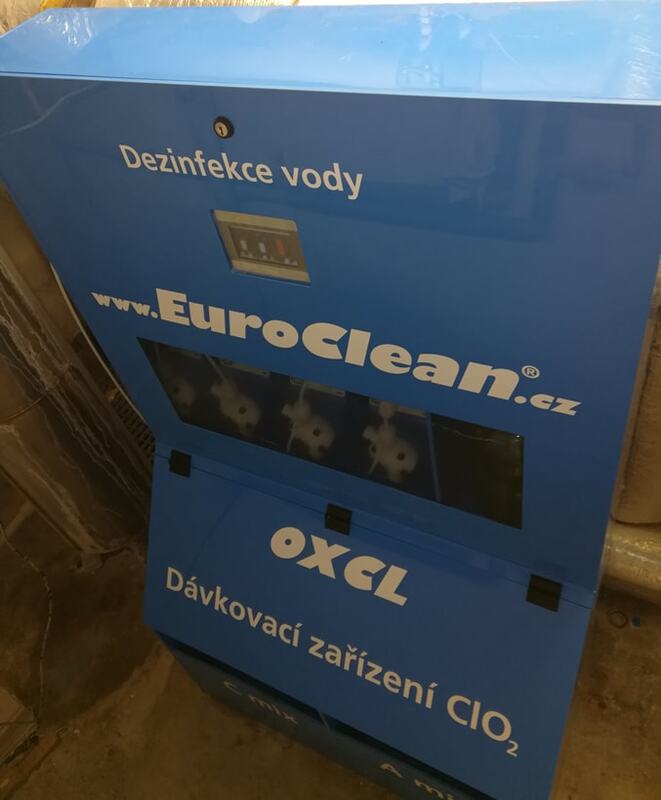 Moreover, it has a control unit, which shows the current flow rate, the amount of chemicals and servicing or alarm notifications. 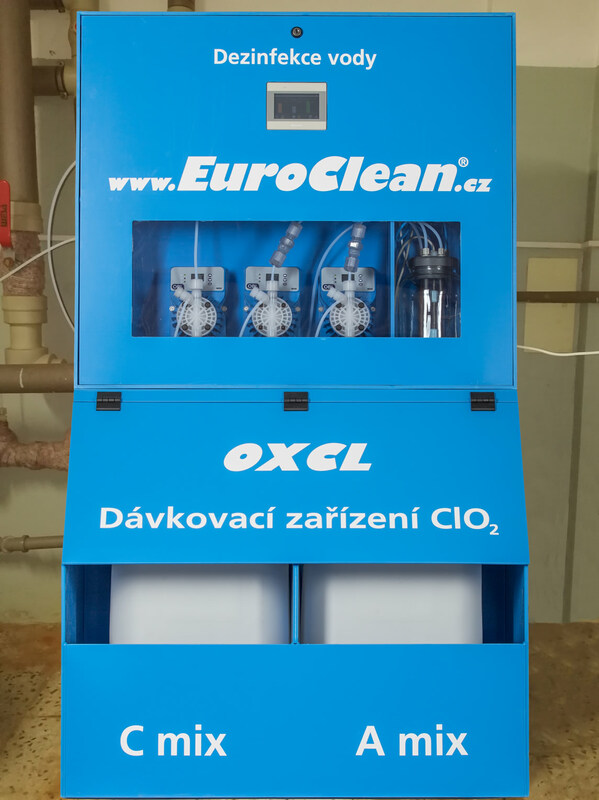 As an additional feature it is possible to install a measuring cell that analyses the concentration of ClO2 in the treated water.